What's inside Compleat Golfer's July issue! July issue is on sale now! 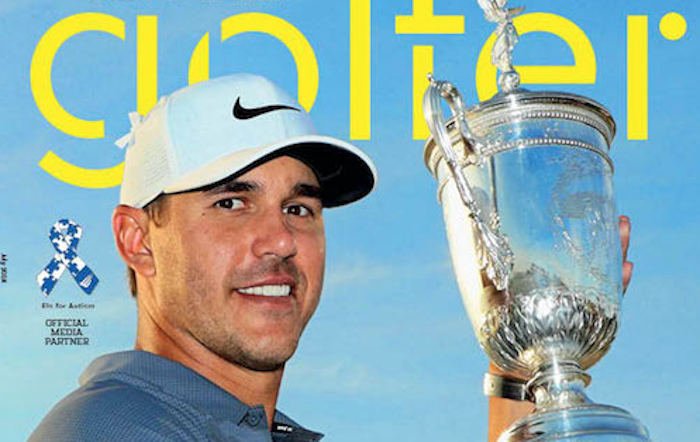 Brooks Koepka, the two-time US Open champion, graces the cover of Compleat Golfer’s July issue, now on sale and packed with local and international content. Koepka once again proved that there is more than power and might to his game as he tamed Shinnecock Hills for his second Major championship. His story, which continues to evolve, is our cover feature this month. Also in focus is The Open at Carnoustie and we bring you up to speed with all the history behind the event and a full breakdown of how the Saffas have fared. Talking of The Open, we also feature a golf trip of a lifetime as one South African played his way around every course on the Open rota. Our Big Issue centres around the SA Open and how a change in the makeup of the field could give the event a lift. Justin Harding can’t stop winning at the moment and it’s no surprise that we caught up with him to find out more about his approach the game. We continue to build up to the Els for Autism finals at the Lost City and caught up with a husband and wife combination, who played their way into the mix. Grab your copy for more informative instruction, rules and fitness updates which go alongside Ryan Cairns’ road trip and columns from Gary Lemke and Andy Capostagno. This month, we asked Ben Karpinski to head off to Pecanwood and he profiles the Jack Nicklaus design in our Course of Month segment. Our celebrity this month is Irish pop star, Ronan Keating, after his whirlwind stop to Cape Town for a charity golf day. Another issue well worth the R34.90 cover price, get yours on sale now!